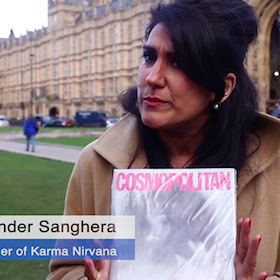 We used the plastic bag commonly found around women’s magazines to drive awareness of the British girls who have lost their lives to ‘honour’ killings. Girls like Shafilea Ahmed who was suffocated with a plastic bag by her parents for embracing western culture. The campaign provoked national debate and culminated in the creation of a national day of remembrance – on July 14th, Shafilea’s birthday.